With today designated as World Homeless Day, the YWCA is turning its lens on Cleveland—where there are more than 22,000 people homeless annually, and about 4,000 people homeless each night (according to the Northeast Ohio Coalition for the Homeless). According to the Center for Community Solutions, 36.2 percent of Cleveland’s population lives in poverty and 18.2 are in abject poverty (with a household income less than 50 percent of the poverty rate). Additionally, the Cleveland Public Schools saw 2,744 homeless students in 2017, and the minimum wage in Cuyahoga County in 2017 was $8.30 an hour, meaning a single mom would have to work at least two minimum wage jobs to provide for her children. There were more than 11,000 evictions in the Cleveland Housing Court, and a percentage of those evicted fall into homelessness every year. Margaret Mitchell, president and CEO of YWCA Greater Cleveland, believes housing in Cleveland is a community problem, and that those residents living in poverty also lack the community networks they need to avoid becoming homeless. With that in mind, Mitchell and the YWCA are leading the way to end homelessness—especially among women, young adults, and children—by implementing programs to combat the problem and asking Northeast Ohio communities to get more involved. For instance, the YWCA estimates that 24 percent of teens in Cleveland who age of out of foster care end up homeless within four years. About 200 people ages 18 to 24 are in a shelter each night. Mitchell and her team recognize that these youth do not have the resources—or the networks—in place to make a solid start at adult life, so they have created programs to give them a leg up. One of those programs is A Place 4 Me, a collaborative initiative between the YWCA and 30 partner organizations targeting young adults between ages 18 to 24 who have aged out of foster care and are at greater risk of becoming homeless. Independence Place apartmentsIndependence Place offers permanent supportive housing to Cleveland’s at-risk youth with 23 apartments, a third of which accept children. The idea is to give individuals and families the training and support they need to live independent lives in permanent homes. Tenants are assigned life coaches to help them identify and reach their goals and are given follow-up support via Community Nurturing Independence and Aspirations (NIA). 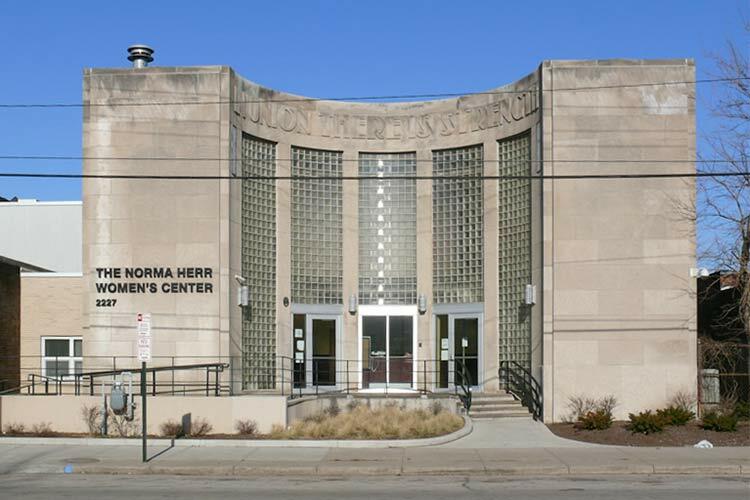 YWCA took over management of Cuyahoga County’s Norma Herr Women’s Center on May 1 this year and has seen an average of 200 women nightly since then. 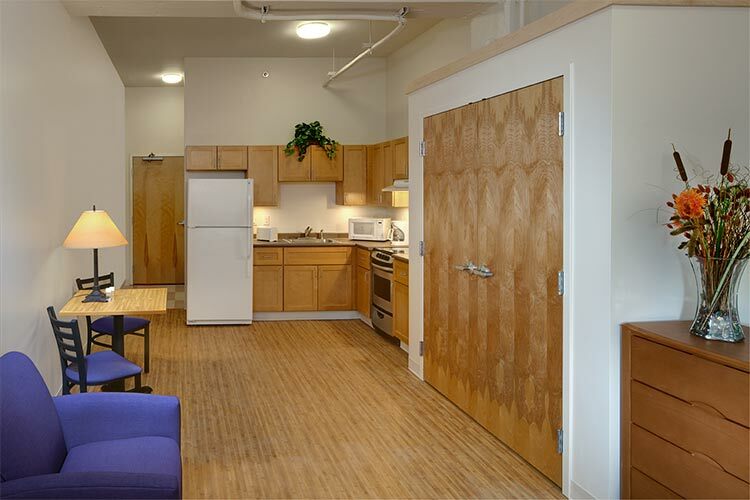 The emergency shelter only takes single women and offers counseling and services to overcome issues surrounding homelessness, trauma, physical abuse, and substance abuse—with the aim of helping them re-establish self-sufficiency and independence. Since taking over Norma Herr, the YWCA has found permanent living for more than 66 women who have come through the shelter. But Mitchell stresses that the homeless crisis is far from over in Cleveland, and the only way things will improve is to get more community involvement. Those who want to make a difference on an individual level can get involved with YWCA initiatives such as Open Table, which invites professionals from various industries to provide guidance on education, finance, employment, healthcare, and more to a formerly homeless young person. The pairing quickly develops a sense of community for the young person, who has likely never before experienced this type of relationship, says Mitchell. To get involved with Open Table at YWCA Greater Cleveland, contact coordinator Beverly Mitchell.